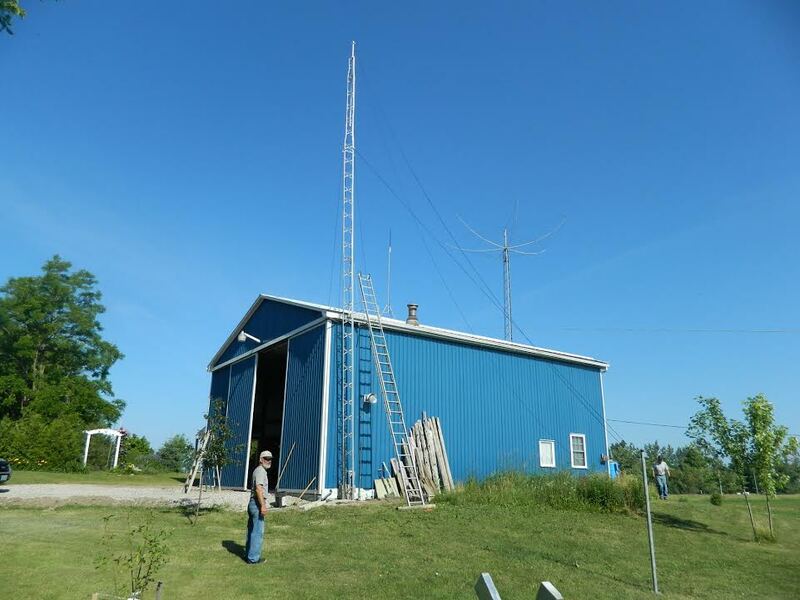 We operated as 3A as I gathered a few friends to help me raise my "new" refurbished 46ft tower and mast to replace the mast that broke during the I storm of Dec 22/23. This will hold my 80m delta loop and 80m doublet for 160m (still to put up). Also my hexbeam is repaired and back in business. 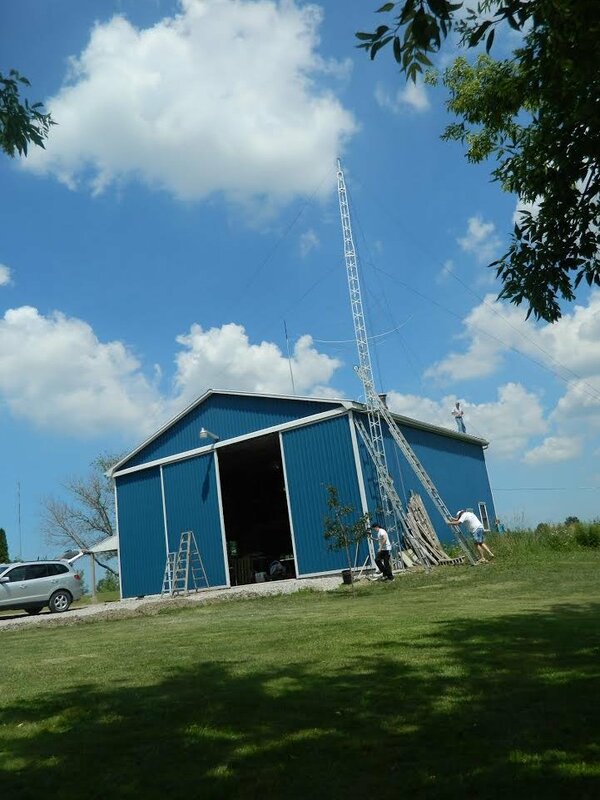 If you look at the pic of the tower mast before being raised (with pulleys and my garden tractor) you can see two of the closest wind turbines now surrounding me - total of 43! 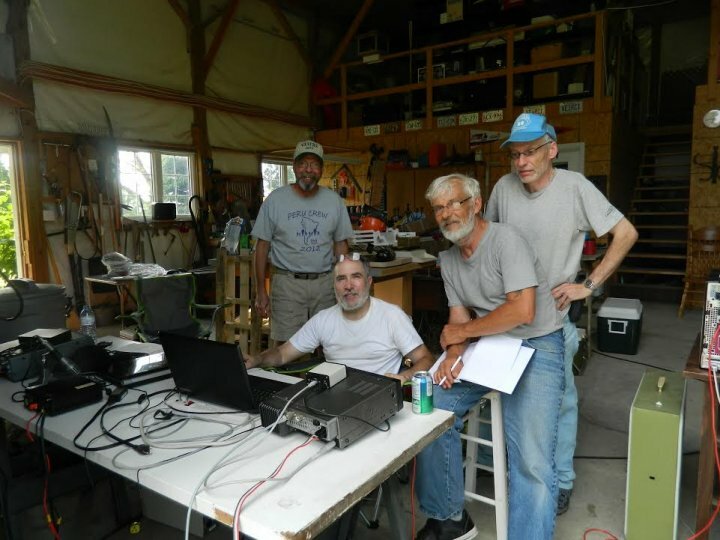 The team from left to right in the picture are Jeff VE3CV, James VA3WR (VE3TPZ), Dave VE3IXI and Jim VE3JRH. Not shown is Bill, VE3NH (VE3CSK) who helped me get the tower bolted level to the eaves before I put up all the 3/16" Dacron guys. 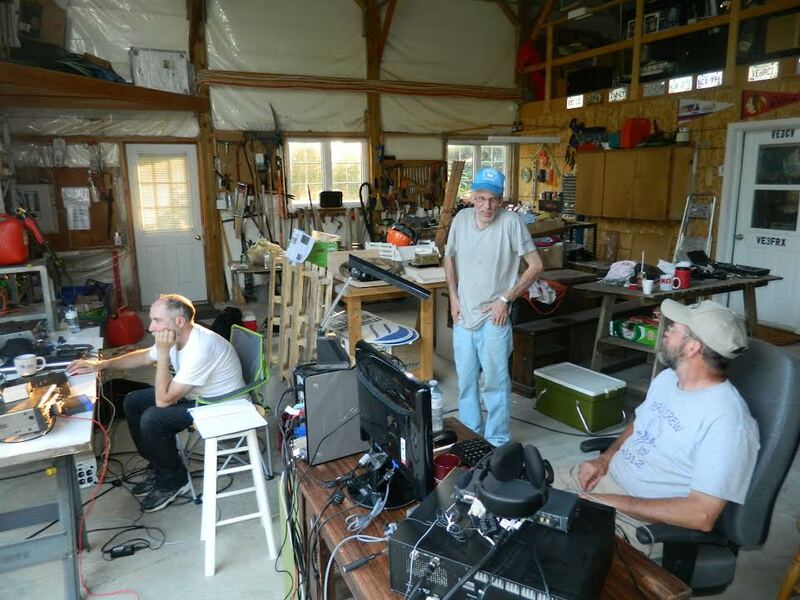 We did more socializing and story telling than operating, but managed CW, SSB, RTTY, and PSK31 on most bands. 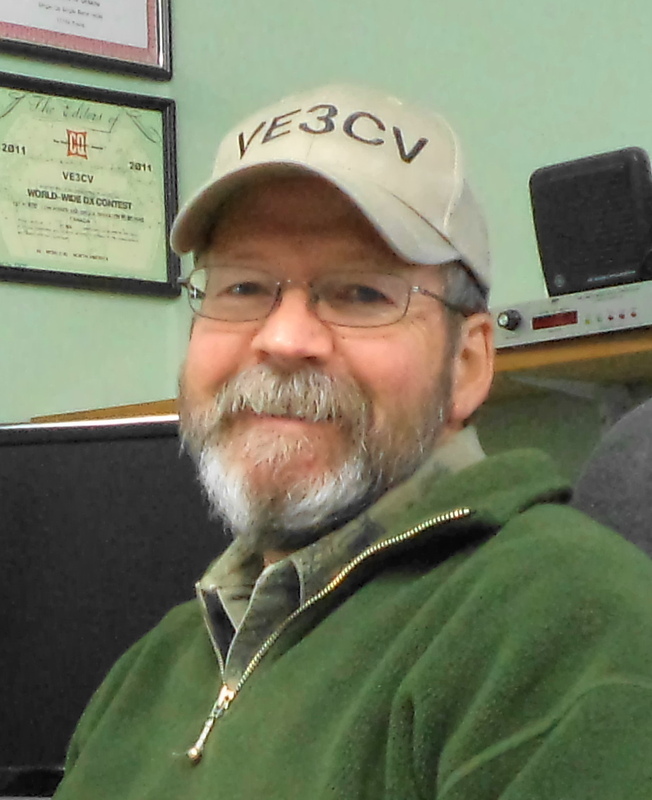 Also tried VHF with little success and did 10 contacts using solar power. Good times! VE3NH at the base of the ladder.